New Marvel Comics editor-in-chief C.B. Cebulski has been on the job for less than a day, and he’s already facing his first big modern comic book company scandal. After years of chasing down rumors, Bleeding Cool published a piece today reporting that Cebulski used to write for the company under the pseudonym “Akira Yoshida,” a fictitious Japanese man whose work the company has touted in the past as an example of its ability to recruit and nurture writing talent from outside the Western world. Turns out: Not so much. According to the Bleeding Cool piece, Cebulski originally created the Yoshida persona at a time when he was intending to leave his editorial job at Marvel in the mid-2000s, and needed a body of covert outside work to help bulk up his portfolio. Bizarrely, though, “Yoshida’s” work for other companies caught the eye of a different Marvel editor, who offered him a writing gig at the company. Marvel company policy at the time said editors couldn’t be paid for writing books, so Cebulski took up the offer, essentially moonlighting at his own job. Even more bizarre, though, are the lengths Cebulski went to to keep the character alive; he apparently invented a full made-up bio for his alter-ego, and one Marvel editor even reported that he once had lunch with him. (It was actually a Japanese translator in the offices for unrelated reasons; we have no idea how that particular mix-up occurred, but it kind of sounds like an especially racist episode of Frasier.) 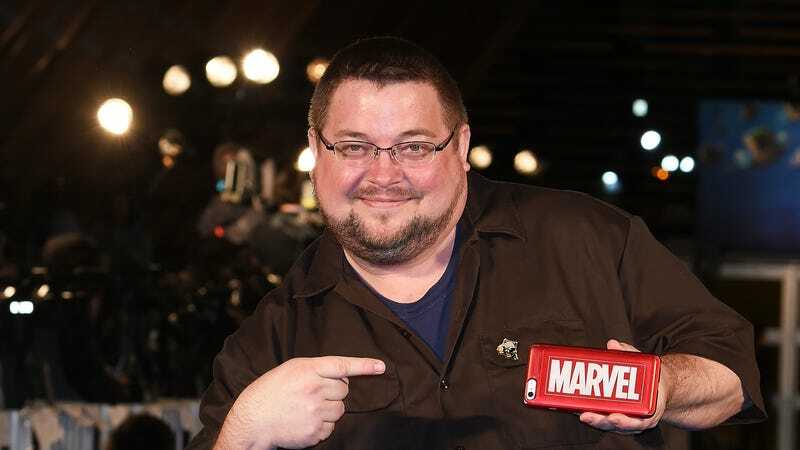 Cebulski reportedly disclosed the hoax to Marvel higher-ups earlier this year, and it apparently wasn’t enough of a deal-breaker to keep him out of the company’s top editorial job. It remains to be seen whether comic book fans will be quite as forgiving.